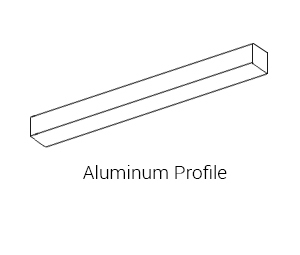 The extruded high-grade anodized brushed aluminum housing comes in 8.2ft (2.5m) standard length, available for customization nearly every 3″ for 1-8ft and long runs 8ft+. 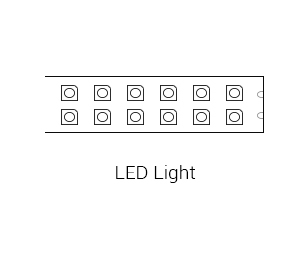 CUBO light source consists of a single LED strip with two rows of LEDs. Diffuser is a snap-in acrylic material with matte finish, distributes light evenly without dotted spots. 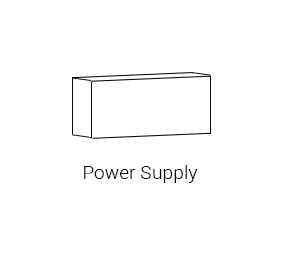 CUBO can be used in a Suspended, Recessed and Surface Mounted applications. CUBO can fit into most spaces to illuminate the area and is available with white light, RGB and damp location options. Custom angles can be created for Surface Mounted and Recessed settings. Aircraft cable available for Suspended applications, a set of two connections per 8ft.